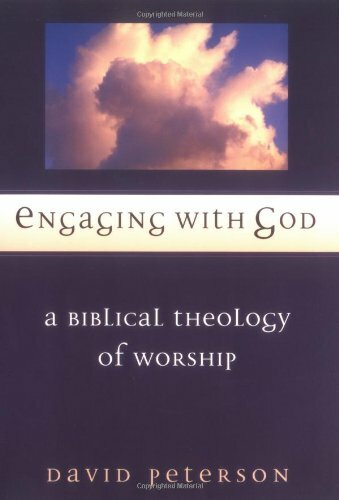 Today's WORSHIP QUOTE is from the introduction to David Peterson's book on the theology of worship, ENGAGEMENT WITH GOD. There is no doubt that Scripture has much to say about the part we play in the adoration and service of God. So, worship is often defined quite broadly as our response to God. However, there is an important theological context to be considered when worship is considered in such terms. That is, we need to ask what role God plays in the engagement or relationship which is true and acceptable worship. At one level we must discover from his own self-revelation in Scripture what pleases him. We cannot simply determine for ourselves what is honouring to him. - David Peterson in ENGAGING WITH GOD: A BIBLICAL THEOLOGY OF WORSHIP, Apollos, 1992 (1999 reprint), p. 19. David Peterson lectures in New Testament at Moore College, Sydney, Australia. He is the author of HEBREWS AND PERFECTION (Cambridge University Press). Lord, give us a clear picture of ourselves that we may know our need for a savior. Show us yourself that we may worship you as you desire to be worshiped. Thank you for making it possible for us to draw near. AMEN !